i've bought my first drone Tello 2 days ago and it's the first approach to drones! It's great and I hope to emprove my driving skills for buying a most powerful one! Ciao e Benvenuto, Alessio. You're doing exactly the right thing, learning on the Tello before you upgrade. 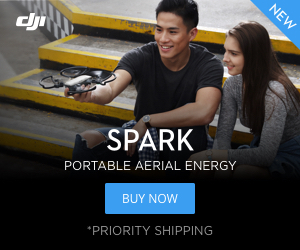 It's much less painful to crash a $99 drone than a $1,000 one!